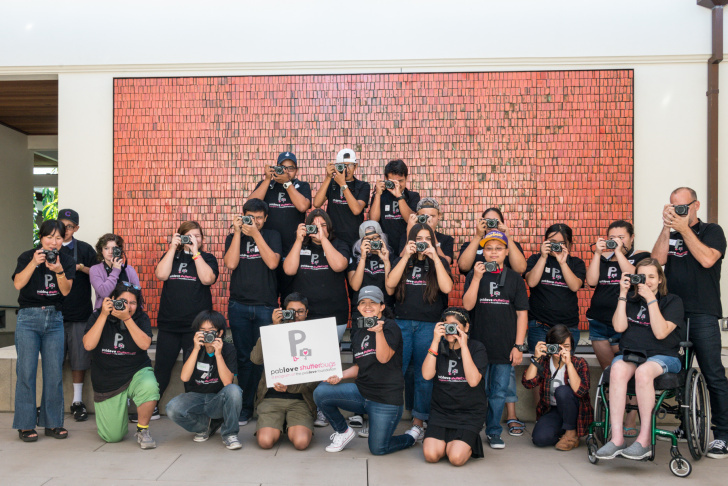 The 23 Los Angeles-area students participated in an advanced photography class as part of a pilot program. 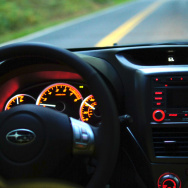 The foundation hopes to expand the program to eight cities around the country. Andrea Ramos poses with her favorite photograph she took through the program. 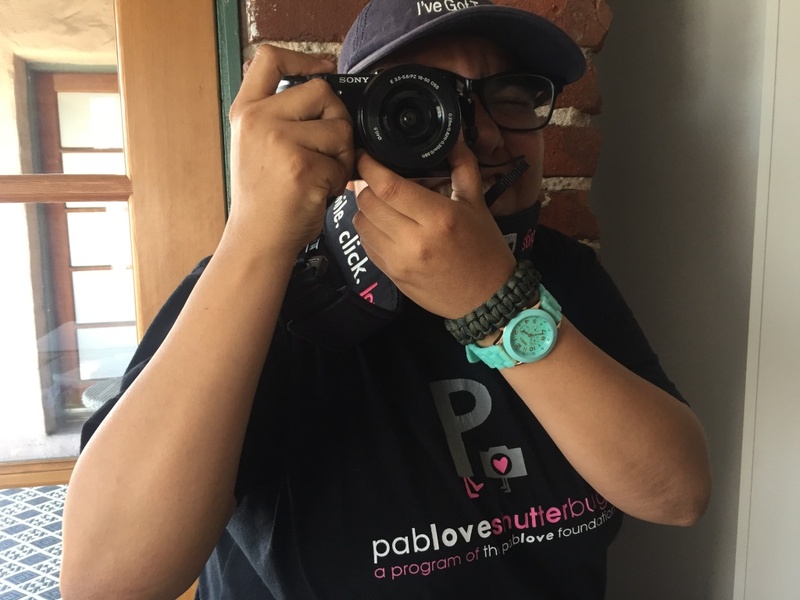 There's a saying at Pablove Shutterbugs, a program that teaches photography to young people who have been diagnosed with cancer: "Cancer isn't invited to the party." That's exactly why seven years ago, when Andrea Ramos was 18 and undergoing treatment for acute lymphoblastic leukemia, she decided to give the program a try. "Even though everyone in the room knew that we had cancer, it wasn't something we were focusing on," she explained. "It was more, like, 'Let's learn photography. Let's learn how to get the macro setting. How does light help our composition? How do we portray emotions?'" Before the program, she never considered becoming a photographer, because she didn't think she could afford the equipment. But the classes gave her a camera and some structure, and an excuse to go outside, get her mind off her treatment, and make friends her age. As part of the program, the students are given a camera. "If I'm ever financially stable and I'm able to afford more cameras, I know that one's going to be my prized possession," Ramos said. "Always. Hands down. It'll always be my camera that I'll probably have on the shelf in a little glass box." The program, which has been around since 2011, is offered by the Pablove Foundation. Jo Ann Thrailkill, one of the group's co-founders, explained that the group's work and mission were inspired by her son Pablo. He was diagnosed with cancer in 2008, and passed away shortly after his sixth birthday. "After Pablo passed away, we actually found photos on every device in our home, so cell phone, digital cameras, even the Photobooth app on our laptops," Thrailkill explained. "Not only did we consider those just the sweetest of gifts that he left for us, we identified that creative outlet was clearly important to him." Inspired by his photos, she started the foundation to "help kids with cancer live a love-filled life today, and a cancer-free life tomorrow." They do that by giving young people like Andrea Ramos cameras, and then teaching them to express themselves as photographers. Proceeds from print sales fund grants for researchers working to find a cure for cancer. 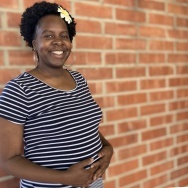 Ramos is now a student at Santa Monica College, where she working towards getting into a four-year university and earning a degree in mechanical engineering. She's pretty busy now, but she still takes her camera everywhere she goes: to school, on public transportation, and at home. "I could probably fill up any memory card with just photos of my dogs," she said. One day, she hopes she can take photos of animals that could be featured in National Geographic. Last year, when Pablove called alumni like her asking if they'd like to participate in a pilot of an alumni program with more advanced camera techniques, she was excited. The program gave Ramos and the 22 other students more advanced cameras, and taught them how to adjust shutterspeed, ISO, and aperture. They also created a space where the young people could talk about cancer. 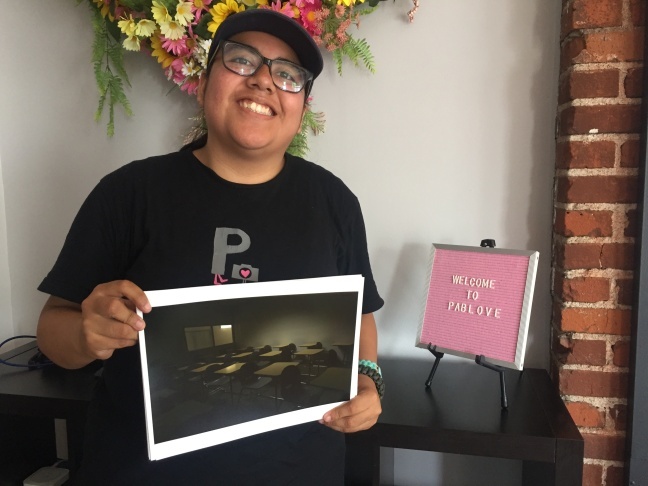 "They were learning the tools to use a camera of this caliber in order to tell their story," Pablove program manager and professional photographer Ashley Blakeney said. "And then we did a lot of in-depth discussion with them with what their experiences were." 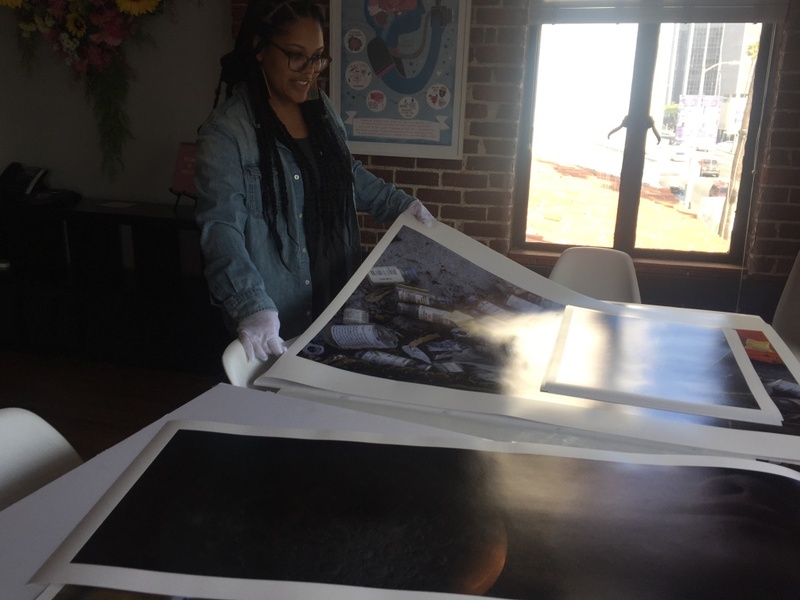 Pablove program manager and professional photographer Ashley Blakeney handles some of the prints in the foundation's Sunset Boulevard office ahead of the gallery show. They used their art and their conversations to develop a gallery show, which the students are calling "Behind the Diagnosis." "You'll see coping mechanisms, that's something that came up a lot. You'll see a lot of families, a lot of home life. You'll see a lot of nature," Blakeney said. 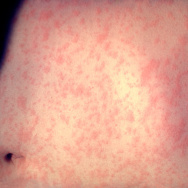 "You will see some other probably more difficult images like their medication, the nitty gritty of their experience." Ramos said she's grateful for the opportunity to capture those moments. "The camera means so much more than just a camera," she explained. "It means friendships. It means community. It means a sense of living. It's my time capsule." 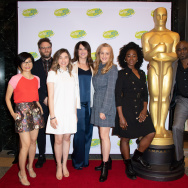 Not only are the photographers using the show to raise awareness about childhood cancer, they're also selling the prints, with the goal of raising $50,000 that they can give as a grant to a childhood cancer researcher in hopes it'll help them get one step closer to finding a cure. You can preview some of the over 80 images that will be on display below. 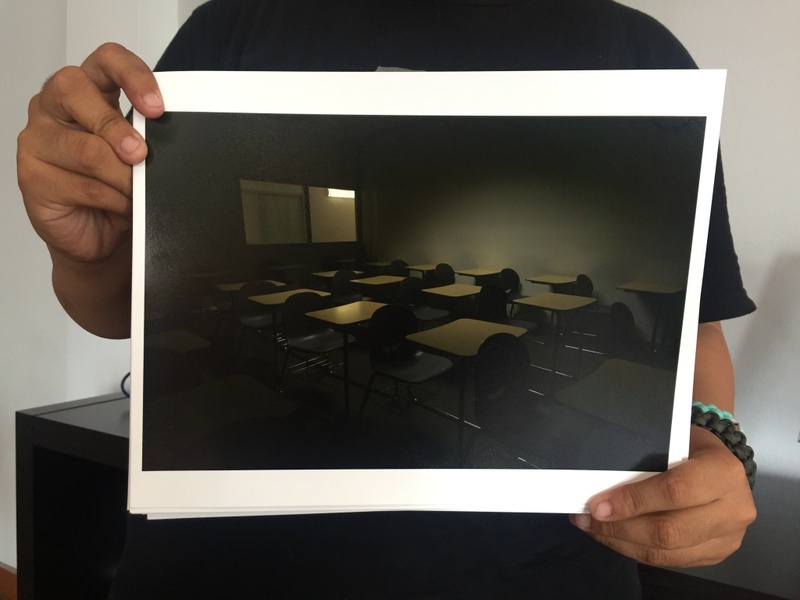 Ramos took this image, titled "Quimica," while on her way to her advanced photography class. 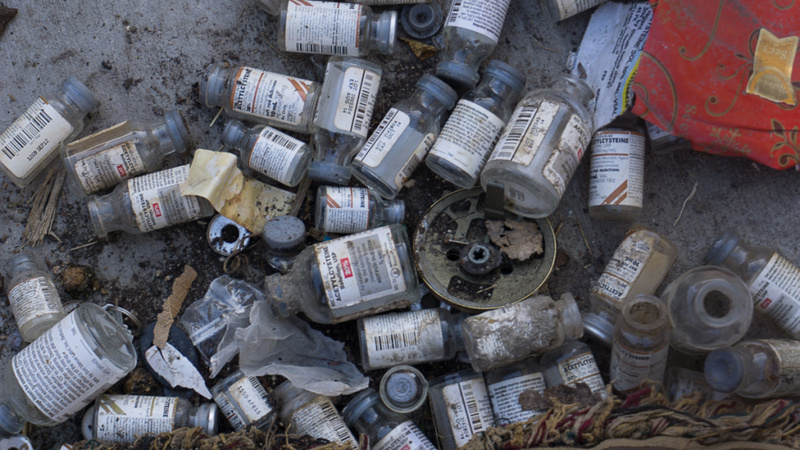 "This is a photo of a lot of bottles that once had medication," Ramos explained. "You'd think it was a bunch of waste, but this is actually something that I took that was to help my liver." She said she chose to take the photo because she thinks people stray away from difficult images like this. "This isn't as graphic," she said. "If it had been possible to take an actual picture of an actual chemotherapy bag–especially the 24-hour ones–that would've made more of an impression." Family was one of the common themes among the 80 images featured in the show. 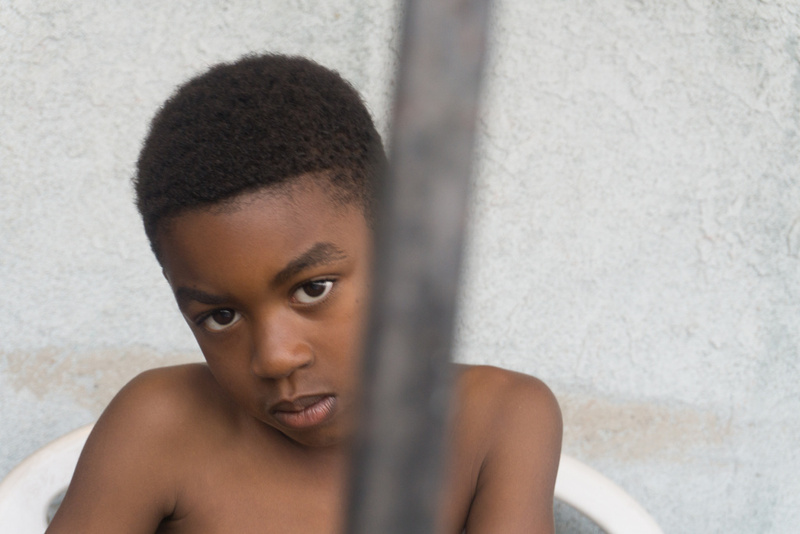 "I started taking pictures of my little brother in the afternoon," photographer Nadja wrote in the caption for this photo she took for the show. "The lighting was beautiful but he didn't want to take pictures. I told him if he did then he'd look really cool." Ramos titled this photo "Empty Pupitres," which means empty desks. "They're just empty now, but eventually if research gets to a point where it's making breakthroughs, then a lot of these patients will still be able to be students," Ramos said. "Behind the Diagnosis" opens at Overduin & Co. on Saturday, April 28, from 6-9 pm.